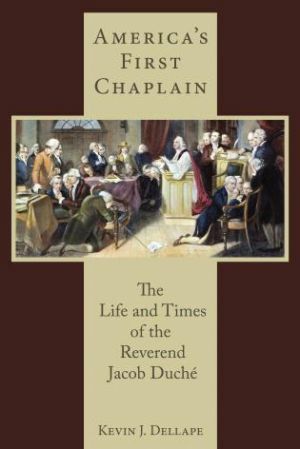 America’s First Chaplain is a biography of the life of Philadelphia’s Jacob Duché, the Anglican minister who offered the most famous prayer and wrote one of the most infamous letters of the American Revolution. For the prayer to open the First Continental Congress, Duché was declared a national hero and named the first chaplain to the newly independent American Congress. For the letter written to George Washington imploring the general to encourage Congress to rescind independence, he was declared a traitor, attainted of high treason, and sent into exile. As a result of this apparently irreconcilable contradiction in the minister’s behavior, many of his contemporaries and most historians have assumed he was weak, that in the moment of crisis – his imprisonment by British authorities during their occupation of Philadelphia - he cut a deal with the British for his own safety. The evidence gathered from the life of Jacob Duché, however, points to a very different conclusion, one that reveals the immense complexity of the American Revolution and the havoc it wreaked on the lives of the people who experienced it. The story of this deeply religious rector of Christ Church and St. Peter’s reveals the human side of the revolution, a story that includes great accomplishment and great tragedy. It also provides insight into the complicated nature of Pennsylvania’s “democratic” revolution, the unique difficulties faced by Anglican leaders during the revolution, and the weakness of simplistic categorizations such as patriot or loyalist. For more than two centuries two events – a prayer and a letter - have obscured our view of the extraordinary life lying in the background. This biography attempts to reinterpret the prayer and the letter in light of the man behind them and in the process to uncover the real significance of both as well as to gain a glimpse into the complexity and contradictions of the American Revolution.